On reaching Bhuj airport/railway station, meet our representative who will help you take a transfer to the Dhordo. Dhordo is the tent city for the Utsav. Check-in to your allotted tent at the White Desert Camp. Savor lunch and then spend the rest of the day at leisure. 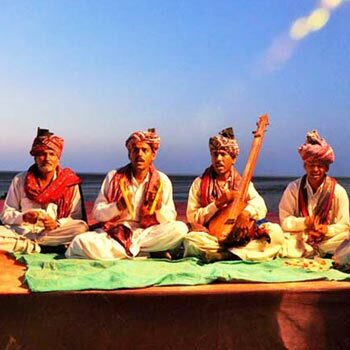 The different handicrafts form the star attraction of Kutch. All the handicrafts are beautifully designed and they mainly include terracotta, patchwork and embroidered items. So, you can go for some shopping at the handicraft bazaar. In the evening, enjoy tea and snacks at the dining hall. Post dinner, you get to enjoy cultural programs which are held in the camp area. Munch your dinner and then have a comfortable overnight stay at the camp city, Dhordo. Begin your morning with meditation and let your soul intermingle with nature. After that, have some healthy breakfast. Enjoy the rest of the day, exploring the colors of the beautiful place. Step out to have a look at the ethnic stuff designed by the local artisans. You can also take a short trip to the Indo - Pak Border. In the evening, grab the opportunity to dance with the local folk dancers. Enjoy a comfortable stay at night in Dhordo. 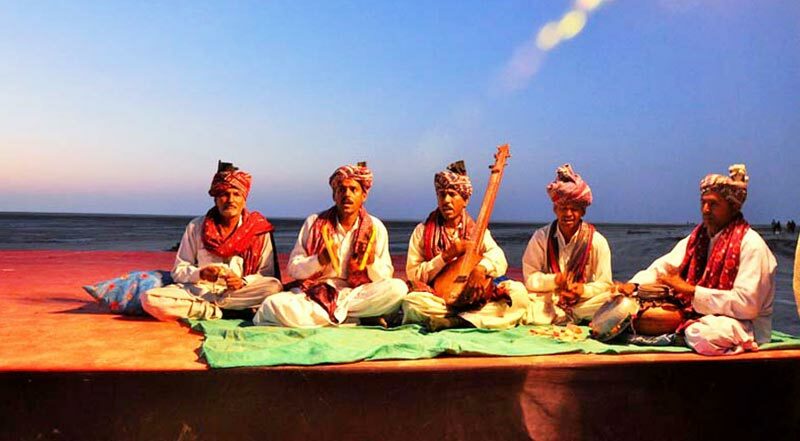 After you have your breakfast in the morning, bid farewell to this unique and beautiful Rann Utsav tour. Take a transfer to the Railway station / Airport in Bhuj for your onward journey.